Jon Ainger -A director of the consultancy firm IMPOWER, Mr Ainger is best known as a social care consultant in both children’s and adult services, trying to develop the next generation of thinking on service design, particularly focused on practical implementation of behaviour change. He received a strong showing of nominations from his colleagues in local government. Behaviour change has been a key theme of this year’s list. Jon has been challenging traditional approaches and has been implementing a number of creative transformational projects with local authorities who are keen to find new ways to manage demand within budget constraints. 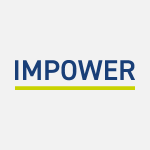 Jon can be contacted on jainger@impower.co.uk.